reprinting any part of this website without prior permission is strictly prohibited. Ask any writer and he or she will reassure you that a writer's work is never done. There is always a little bit more research to do, one more detail to add, one more read-through for tweaks. Sometimes I think editors must have super powers to actually get us to "let go of" our manuscripts. Of course, that power is frequently reinforced by the reminder that if we don't stop researching, writing, or tweaking, we won't get paid. It works wonders. I've discovered that next to writing about what they've learned, writers like to share the information with just about anybody who will stand still long enough to listen. I'm no different. So I've created this page to allow me to do just that: share with other writers the research and resources I've come across as I've written my books. I'm starting with a few recent research-related articles I've written, but I'll keep adding to the collection. So stop by every now and then to see what's new. 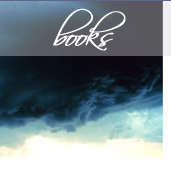 A site to check out while this one is growing is the Writer's Resource page on author Laura Resnick's website. She has loads of information - everything from the best, must-have reference books (and some of the quirkiest) to links to industry blogs to links to writers offering editorial services. 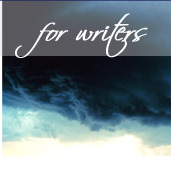 She offers information for everyone, from the aspiring writer to the multi-published.